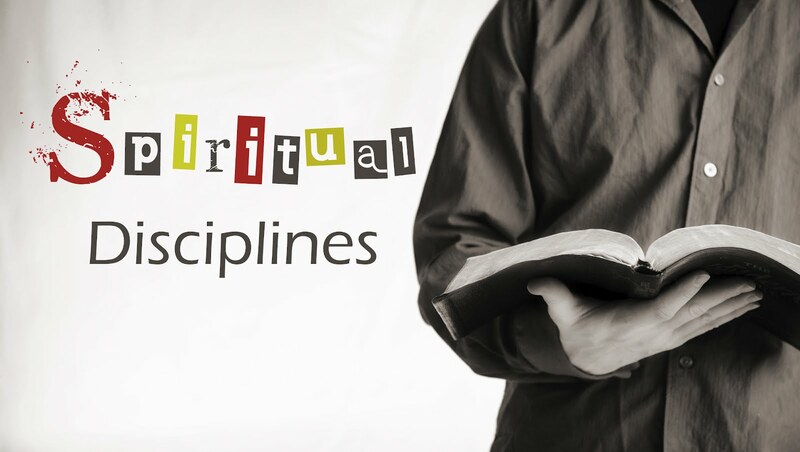 Why should we develop spiritual discipline within our own lives? What practical steps can we take to develop spiritual discipline amongst our family ministry teams? Spiritual discipline must be evident in our Christian walk. Too often in life we settle for mediocrity – we settle for being good and miss being great! I believe God has called us to be great in everything we do and say. We must not settle for second place, but constantly be striving for greatness… striving for victory… striving towards a stronger, more authentic relationship with Jesus Christ… striving to become the ministry leaders God desires us to be! Those of you who have spent any amount of time around the game of football know the physical endurance and training that goes into the game. For many football players it begins with two practices a day beginning in early August. On top of that, did you know that yoga is one of the most widely used training programs for NFL Offensive Lineman? It takes extreme levels of discipline and training to play at high levels. Beethoven, the famous composer, was known to practice hours at a time every day as a child. I began playing golf at a very young age, and I ended up playing at the college level for 2 years. But it took hours of practice and discipline every day for several years – leading up to college – to get to that level. Success in many areas of life takes much more than physical discipline – it takes mental, emotional, financial, and relational discipline as well. Our spiritual journey must also include strict training. Your effectiveness as a Christian is first dependent on your character. The focus of spiritual leadership demands that you maintain spiritual discipline, because you cannot take others where you have not been. The success of your ministry will depend, at least in part, upon your personal growth – this is the greatest need within most student ministry teams! One of the central charges given by Jesus was to make disciples of all nations. We cannot accomplish this apart from spiritual discipline. True spiritual discipline takes accountability, dedication to God’s Word, involvement in community, and ultimately truly knowing Christ more and more every day! I know this may not be the best example, but I want you to think of two boxers… Every punch thrown is meant to land squarely on their opponent in order to send them crawling from the fight. When Paul says, “I beat my body,” he figuratively means he would give his body a black eye and, if necessary, knock it out. Paul put his body into slavery to his mission of winning souls for Christ. We must fight our bodies the same way. Think of how often and how easy it is to give into the sinful pleasures of this world – the things that make us feel good. Instead, we must lead our body, making it our slave. We must continually fight against our own sinful self – at the same time striving towards a deeper relationship with Christ. Developing spiritual leadership amongst our teams begins and ends with each and every one of us. We set the bar. We establish the spiritual maturity of our team around us. Whether you lead an entire ministry, a small group on Sunday mornings, or work as a volunteer within the nursery, your goal must be to set the bar of spiritual growth high for those around you! I am one to give those in ministry leadership the benefit of the doubt, but I also believe in a high level of accountability. As a leader, if you want the people around you to study the Bible, pray, fast and grow closer to Christ, then you must make sure you are doing it as well. The vision for spiritual maturity in a church will rarely exceed that of a leader’s life. We must strive to go where you want to take the people around you! Also, find ways to practice the spiritual discipline in community. There is an old saying about leadership: ‘If you are leading and no one is following then you are just out for a walk.’ Don’t walk alone toward spiritual maturity. Discover the various ways to lead people. The list is endless. Read the New Testament together over the summer months. Memorize a key passage that follows the theme of a message series and repeat it during worship. Commit to a church-wide fast while making key decisions. Meet 15 minutes before every service for a Prayer Huddle. Make sure every one of the leaders around you is involved in community outside of your weekend services. Emphasize the importance of quality family time within the lives of your leaders. Make sure each and every one of your leaders is attending a church service every weekend! But again – if you are not accomplishing these things, then how can you require or encourage your leaders to live out spiritual discipline in their own lives? Often the spiritual disciplines are misrepresented as exclusively practiced on our own. Make sure they are used to draw the body of Christ closer together as well. As leaders we must be continually growing closer to Christ, leading through community and holding followers accountable to a life of spiritual discipline. I challenge you right now to evaluate two things – where are you at in regards to spiritual discipline within your own life and what type of spiritual impact are you making on the lives around you?